Truly the desired thread of Kings and Queens down through the centuries. 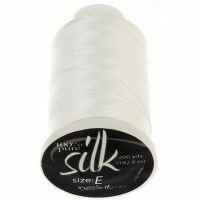 Silk is the finest natural fiber in the world. 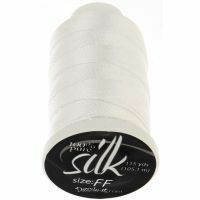 This smooth, twisted three ply, 100% pure silk thread has the most luxurious feel and softest sheen of any natural fiber. 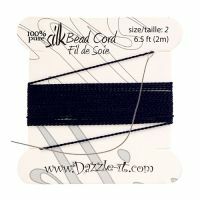 Our bead cord is extremely supple, yet resistant to stretch and wear. Durable enough to withstand the abrasion of pearls, glass beads, and gemstones. Champion bead cord is plied from pure Chinese long filament silk. 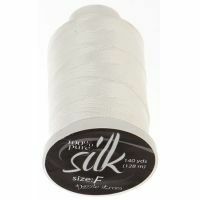 Available in cards and spools.